Every Bollywood celebrity has his or her own way of stealing the thunder. If Virat Kohli has his well-meaning relocation advices for his fans, Saif Ali Khan carries Taimur to up his social media game. But no one can ‘shock’ us like soon-to-be groom Ranveer Singh can — not only by his sartorial choices, but also by his ‘startling’ life decisions. According to various reports, Ranveer Singh has apparently decided to move in with Deepika at her Prabhadevi apartment, which was worth Rs 16 crore when it was bought in 2010. This might just be a decision for the time being, before the duo finalises a new accommodation after their wedding, scheduled to be on November 14 and 15. But this has already taken a toll on our beliefs and tradition. The entertainment sites are quoting one particular source, must be very close to Ranveer, who is negotiating that this is a practical decision as they will, in any case, look for a new apartment, and Deepika has been staying in this particular flat for a long time. But, does it? To our Hum Saath Saath hain-fed imaginations? Has the end of the world already come? Last checked, we didn’t find any accurate description of Kalki — the tenth avatar of Vishnu who is supposed to end Kalyug — which matches with Ranveer Singh. But a Bollywood actor, who flamboyantly flaunts a skirt, decides to stay at wife’s place after wedding leaving his own family and memories behind — instead of uprooting her in the name of Indian traditions — is something we can’t clearly handle. Also, we just discovered something unusual about the couple-name that Deepika and Ranveer have. 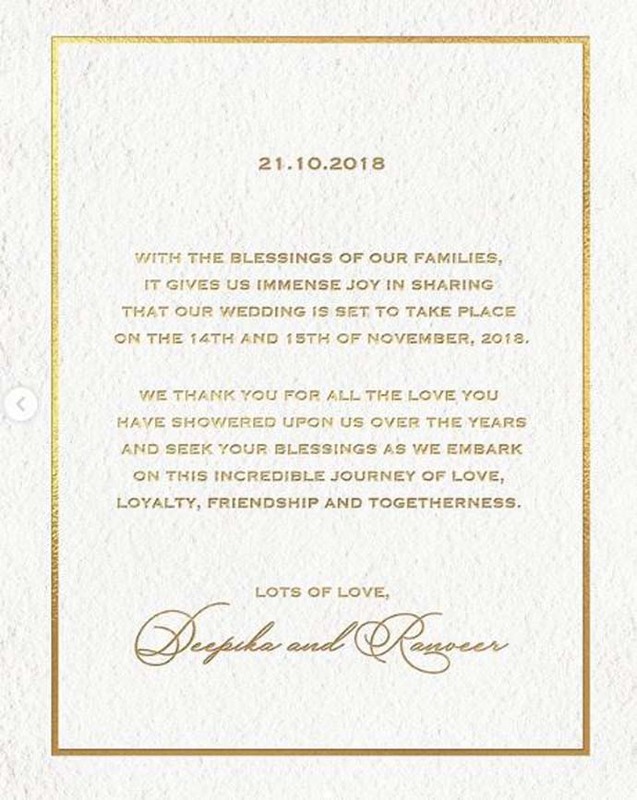 Unlike Brangelina (Brad Pitt + Angelina), Saifina (Saif + Kareena) and Virushka (Virat Kohli+ Anushka), Deepika comes first, followed by Ranveer, in DeepVeer — the couple-name which we hope will start trending on social media in a couple of days. 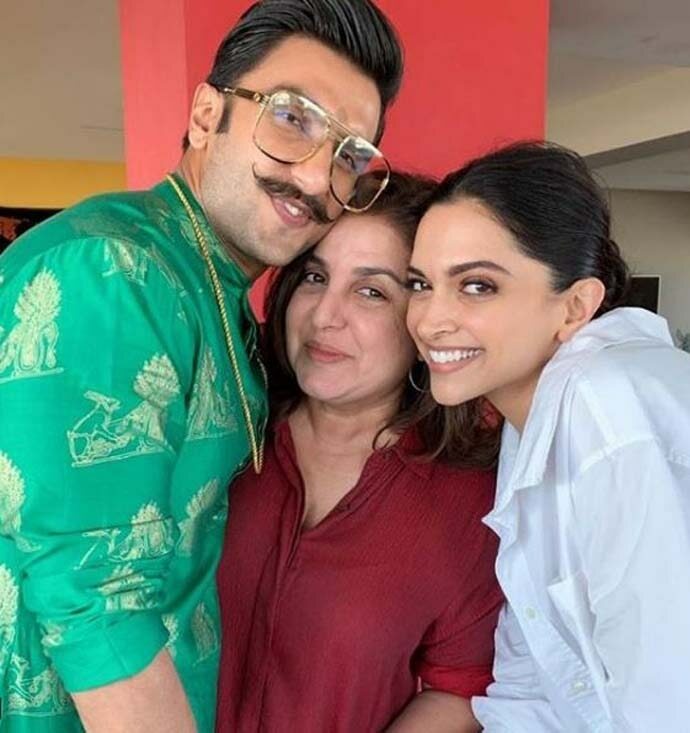 But before this topsy-turvy gender order becomes too threatening to the existing social and Bollywood structure, we also want to take a moment to remind you that it was Deepika Padukone, not Ranveer Singh, who announced the wedding date on social media. Hunting for a flat in Mumbai, we all know, might be a difficult pursuit. If it is budget for us, too much of budget can also be a problem. So, we can assume that the duo have not yet found their dream home which can become a part of Bollywood tourism (like Mannat, Jalsha, Pratiksha etc.) that Mumbai offers. Or, they might have already found it, but will wait before moving in. But whatever it is, we will take time to recover from this shock!